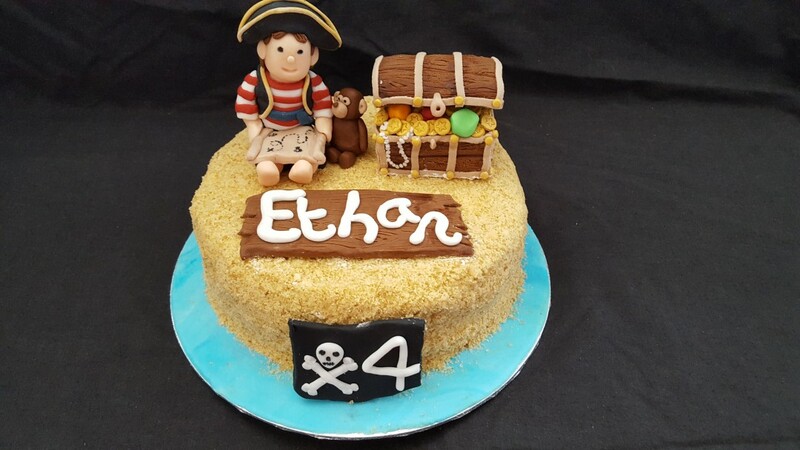 A cake covered in edible sand with the birthday boy dressed as a pirate featuring with his favourite stuffed monkey toy. He is next to a pirate treasure chest filled with coins and jewels. His name is written on a washed up plank of wood and his age on a pirate flag, all hand made and 100% edible.